Solitaire Interglobal performed 300,000+ risk assessment models in 2014, of which 76% dealt directly with IT risk analysis. Risk assessment for IT goes beyond normal risk and exposure considerations. This class will cover the areas that have been shown to be critical to effective risk evaluation in the IT arena in depth, including the major forms of IT risk assessments and the use of risk foundation guidelines. Other subjects that are covered in depth during the class sessions are the various project arcs associated with IT risk assessment and how to maintain a validation process for the ongoing IT deployment. The overall format is a series of 1.5 hour sessions, two per week for a total of 4 sessions. Each of the sessions will include a lecture, visual presentation, exercises that are demonstrated and assigned as homework, and a question and answer period. 1 – Discuss the demonstrated patterns of pivotal decision points, scope control, information needs and process isolation for IT risk assessments. 3 – Discuss the different forms of project plans that can be associated with an IT risk assessment effort, including the advantages and disadvantages of each form. 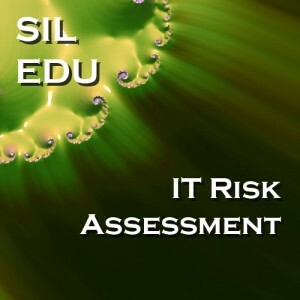 4 – Discuss and define the normal terms used in an IT risk assessment. 5 – Explore the different metrics and measurements that are useful in monitoring an IT deployment for ongoing risk and exposure. 1 – Participant will gain an understanding of the critical functionality and the controls that are present in an IT risk assessment. 2 – Participant will have an understanding of flow and dependencies of tasks in an IT risk assessment effort. 3 – A successful participant will be able to build a basic project plan for IT risk assessment from the information received during the presentation. 4 – A successful participant will be able to define metrics and measurements for risk monitoring for each general IT risk assessment form. Primary audience for this course are professionals who are responsible for IT risk assessment and those with budget accountability within an organization. 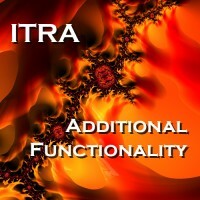 Project managers and IT technical team leads will also benefit from successful completion of this course. Session Length 1.5 hours per online session. Homework assignment estimated 1 hour each.